For those of you unfamiliar with the Catalina 37, it is a monohull sloop-rig boat built specifically for match racing, with symmetrical spinnaker and wheel steering. The Long Beach Yacht Club has a fleet of 11 Catalina 37s and uses this fleet for the annual Congressional Cup, and also (who knew?) 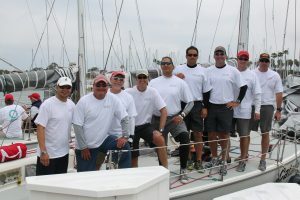 allows them to be chartered for Wednesday night racing and for special events like the Catalina 37 National Championship held during Long Beach Race Week. 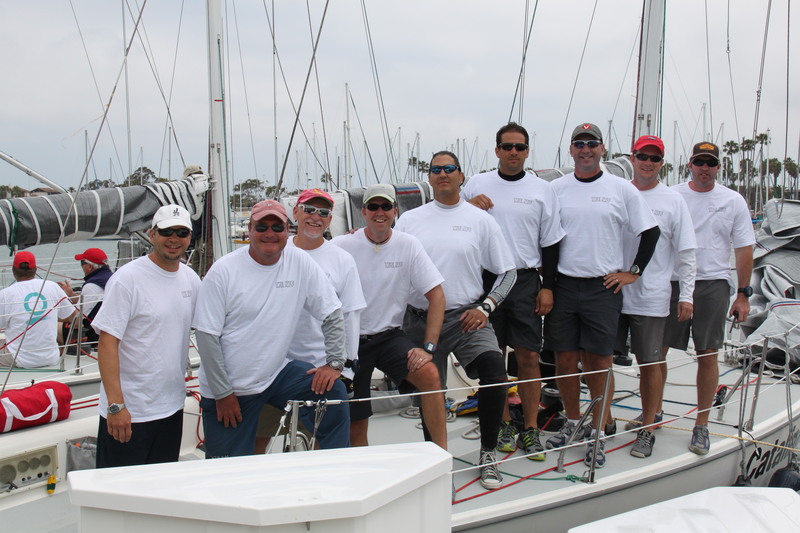 John Riddell took advantage of this chartering opportunity to see if AYC could rally a team to participate. And lo and behold, John was able to find 9 AYC sailors willing to take on the challenge of getting a bunch of “skippers” to play nice in individual roles and to take their mostly-small-boat experience up a level.